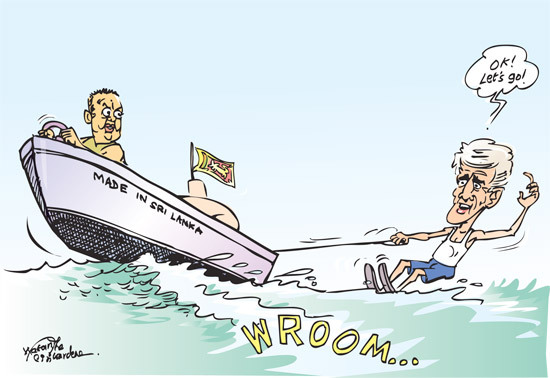 A few months after evading the summons issued by the Bribery Commission by an engineered ‘sleep over’ protest tamasha in the country’s legislature, former President Mahinda Rajapaksa had to deal with a similar situation again last week. One Lang-sa of a certain coastal city hosted a party for a group of journalists at a hotel on the edge of water. The prime objective of the party was to show the scribes that he is not as ‘bad’ as some portray him to be! Each journalist who attended the party was gifted a 16 GB pen drive, probably to store in their collective memory that Lang-sa is a good boy who doesn’t deserve a digit of criticism. cat'S eye : Big Apple here we come!